Skeptical. 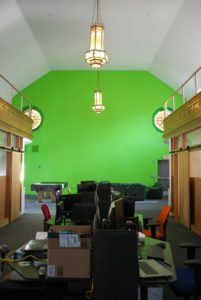 That’s how Evan Indianer CEO of Unicentric, a company that provides software to social service organizations, describes the initial response to his decision to move his tech company’s headquarters from the Strip District to a former church building in Braddock. He was warned to avoid the neighborhood given its reputation for crime and blight. However, from past experience Indianer knew to follow his own instincts. This wasn’t the first time he had made a big move. A native of Miami FL, Indianer is a serial entrepreneur. He founded Indianer Computer Corporation or ICC at the age of 13 and by the time he reached high school, the company was providing software to major corporations. He moved to Pittsburgh in 1988 to attend Carnegie Mellon and in the early 1990s decided to transplant his company here as well. After he graduated, he moved the company from Squirrel Hill to the Strip District. “Back then,” he says, “the area wasn’t hip, and furthermore, it wasn’t perceived to be the safest neighborhood. There weren’t many people living there, just warehouses on one end and nightclubs on the other.” Still, he had a good feeling about the neighborhood and plunged right in, eventually remodeling a warehouse to serve as his new headquarters. Flash-forward to a quarter of a century later, and the Strip is now a thriving hub for tech companies. 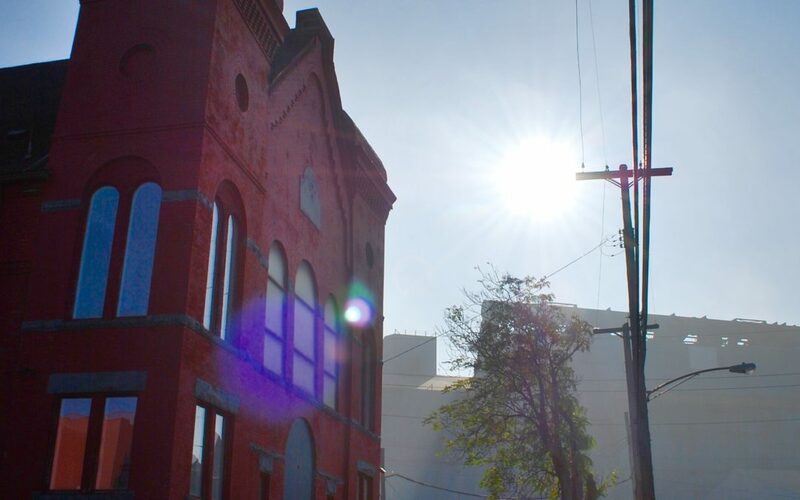 Indianer now sees the same potential for an urban renaissance in Braddock. Indianer says, his wife deserves the credit for the idea to relocate. After attending an event headlined by John Fetterman, Braddock’s mayor, she encouraged Indianer to take a closer look at the borough. “Remember what you did in the Strip? 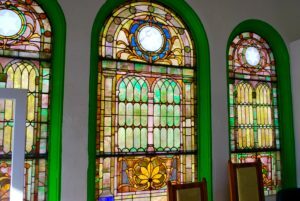 Do you want to do that again in Braddock?” Intrigued, he began to look at real estate in the area and saw that one of the properties for sale was a former Baptist church. “Look honey, we could own a church,” he remembers joking to his wife that evening. But, when he woke up the next morning, it occurred to him that buying the building and moving to Braddock wasn’t such a bad idea. After learning more about the community, its successes, and looking at the church, he decided to buy it, and following almost a year of renovations, Unicentric relocated its Strip offices to Braddock. One surprising discovery was that prior to its use as a Baptist church, the building had been a synagogue. 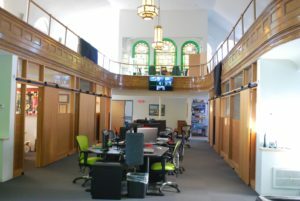 “When we walked in my wife said the space reminded her of the synagogue she attended growing up. Later we realized that the stained glass windows featured Stars of David. And, while renovating, we found the foundations of the mikvah [a ritual bath] in the backyard.” Scouring old records, Indianer learned that the original congregation had been founded in the 1890s and the building was sold in the 1960s to what became Unity Baptist Church. Stained glass windows with Stars of David at Unicentric’s office in Braddock. Asked why businesses should consider moving to Braddock, Indianer says his answer would depend on their specific needs. “For some, it could be the opportunity to come to an area poised to become as vibrant, if not more vibrant, than Lawrenceville. For others, it might be the availability of large parcels of developable land. And anyone can appreciate the easy commutes from Pittsburgh and other areas of Allegheny County.” Another benefit he mentions is the support provided by the local Enterprise Zone. Their business loan program helped Unicentric establish a new home in Braddock. Braddock, Indianer explains, has a unique melting pot of entities and individuals all working to create positive change in the neighborhood. Unicentric is proud to be a part of Braddock’s renaissance and Indianer encourages others to take a chance on this up and coming community.